Teach English in Vietnam with Cosmic Volunteers at a government school or group home. Our volunteers teach conversational English to students as young as 5 years and seniors 65+. You can teach in Ho Chi Minh City in south Vietnam or in Da Nang in the central part of the country. The group homes provide free education and services like health care, counseling, social support, and reuniting families. In addition to teaching English, you will be a caring presence for the children and seniors. Our local staff can help provide you with lesson plans and materials. You are more than welcome to bring your own lessons plans and ideas to the classroom. Previous teaching experience is not required. We do not offer homestays in Vietnam. 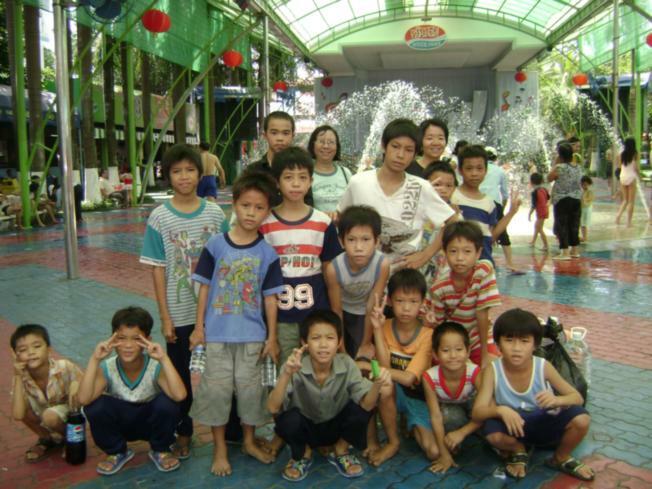 Volunteers stay either at our group home in Da Nang or at hotels/hostels in Ho Chi Minh City. The hotels/hostels range from $10 backpacker hostels to $20 mid-range hotels to $50+ higher-end hotels. We can help you find a suitable hotels/hostels both before and during your stay in Vietnam. For meals, volunteers in Da Nang eat at the group home. In HCMC volunteers eat at restaurants serving Vietnamese and western fast food. Program fee starts at $995 for 1 week. See our Prices Page for details.